Steve Brixton is in retirement, and not even grand theft auto can bring him back for one last job. Period, the end, that’s that. Right??? After finding out that his favorite author (and author of the definitive Bailey Brothers Guidebook) was not the man Steve thought he was, the Brixton Brothers detective agency is officially out of business. Steve has a new job now: taking out the trash for five bucks a week. But when he and his best chum Dana take a train trip down the California coast, he’s caught up in a mystery that involves a fleet of stolen automobiles, a vanishing girl, and a phantom train car. 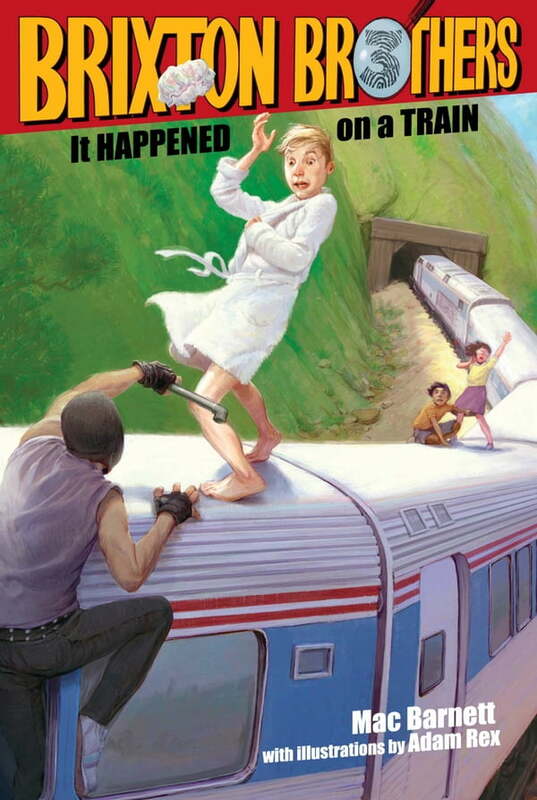 For fans who want their Hardy Boys with a sprinkle of laugh-out-loud humor.